Group discussion. 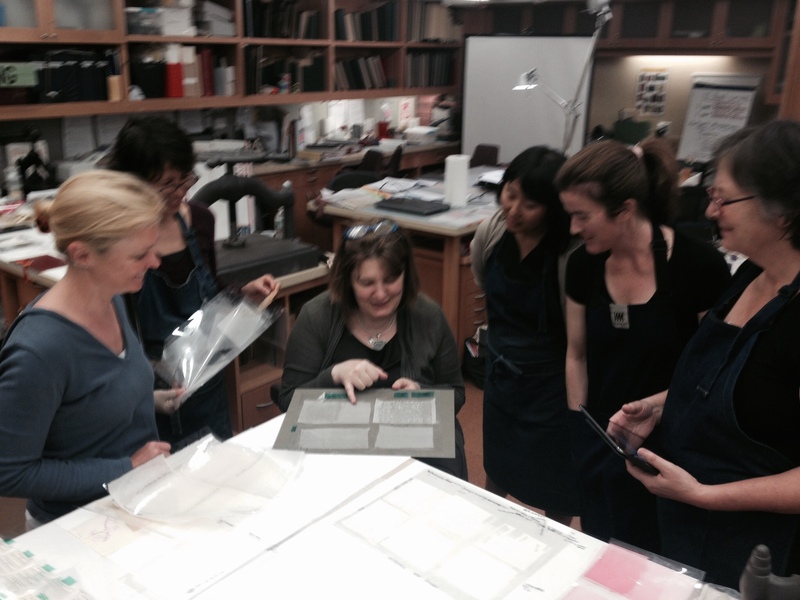 Precoated Repair Materials workshop, Watson Library, Met. June 2014.